This very weekend, Magic: the Gathering players will be vying for glory at their local gaming stores around the globe in Ravnica Allegiance pre-release events. 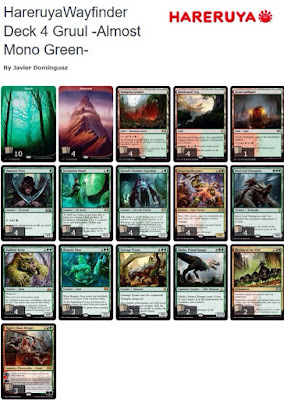 The set appears to have all the correct successful ingredients and something for every fan, no matter what their favourite format - Commander, Standard, Modern, or limited. 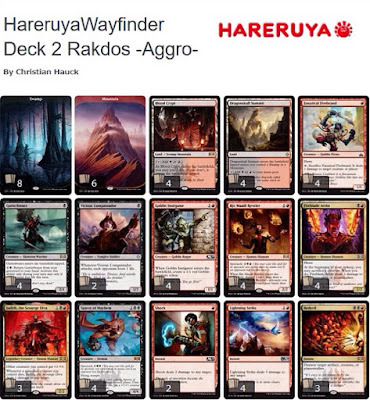 Suggested reading ahead of this weekend's event is the Ravnica Allegiance pre-release primer, from Gavin Verhey as well as the Ravnica Allegiance Release Notes, posted to Wizards of the Coast Daily MTG page today. As an side-note, we had seriously misunderstood a particular card and now clarified, it may now be one of our favourites in the set. Anywhoos, let's get on to today's topic - post Ravnica Allegiance Standard format. 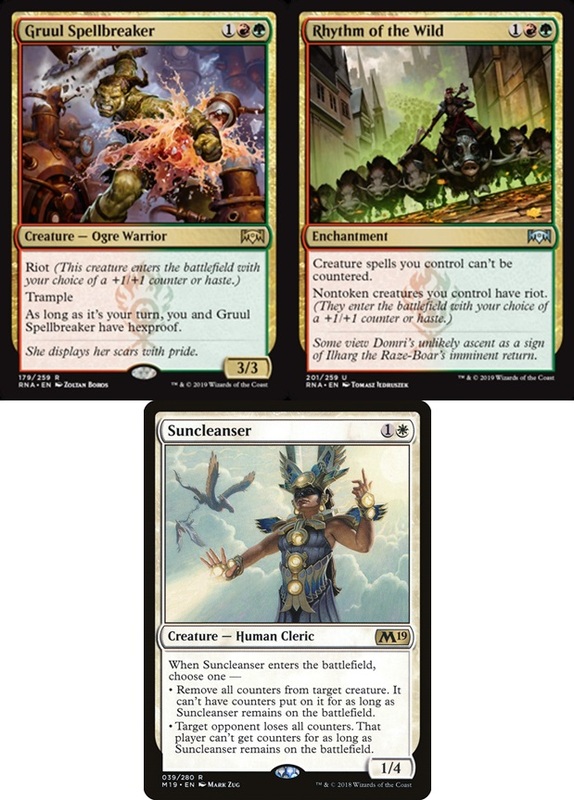 As the official previews were under way, it had become evident that (1) Riot was a particularly good mechanic, and that (2) Gruul Spellbreaker & Rhythm of the Wild is a solid card. As a result, we expect a lot of the early decklists will lean towards Aggro and specifically these cards. 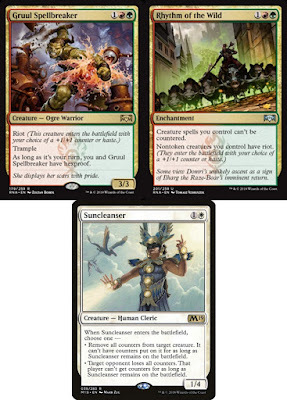 Just be cautious of cards, now being splashed with the improved mana-bases that threaten to put a damper on your Simic 'Adapt' or Gruul 'Riot' tech, such as Suncleanser.